I used to think of Pescadero as an overlooked gem. Not so much anymore, what with all the cars lining the main (and only) street on weekends. But this charming village of 643 human souls 15 miles south of Half Moon Bay and two miles east of Hwy 1 takes some effort to get to, whether driving south from the city or over the Santa Cruz mountains from the Peninsula, so it’s not a place to simply ‘drop by’. Which I suppose keeps it from being overrun by tourists. 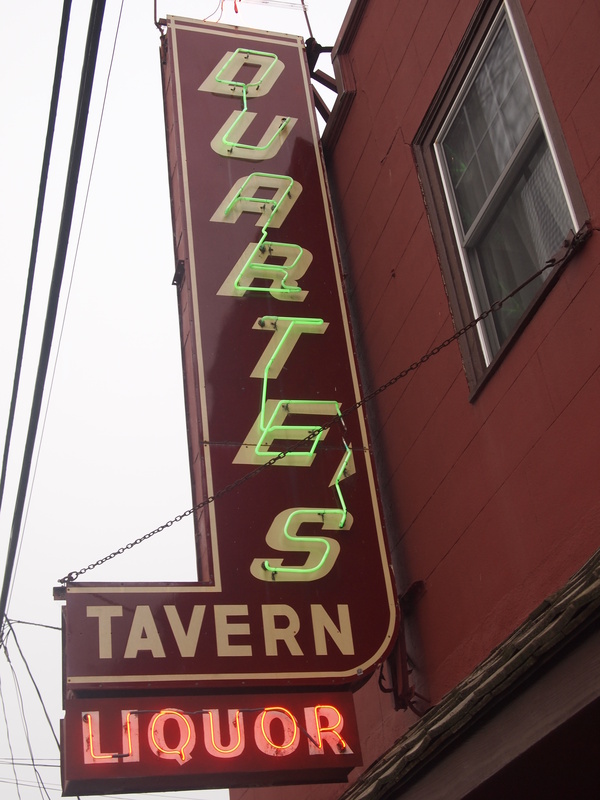 Besides the lovely drive and scenery, the main attraction here is Duartes Tavern and restaurant. Founded in 1894 when the area was nothing but Portuguese fishermen and farmers in muddy boots, the establishment hasn’t changed much since then. Well, the prices certainly have, which are high, but worth it for a bowl of their signature green chile and/or artichoke soup. 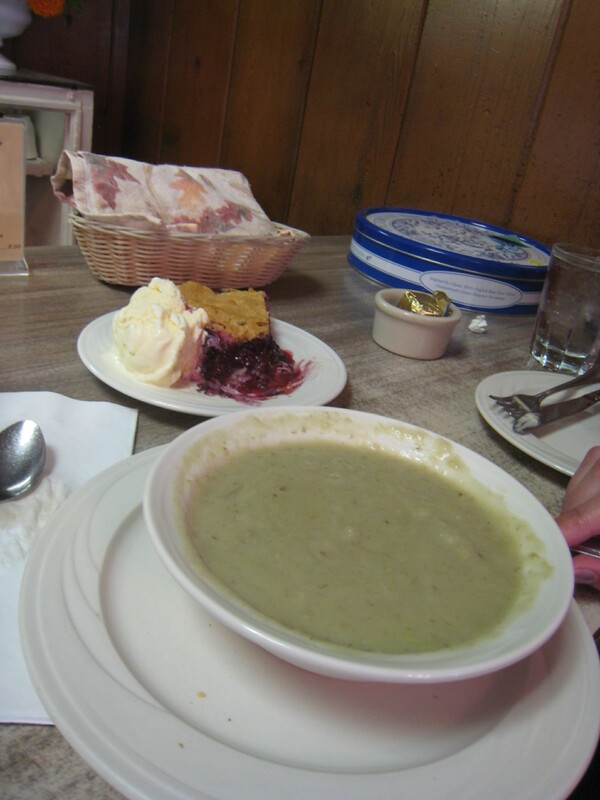 With a basket of warm, fresh-baked bread and a good selection of regional craft brews on tap, the creamy soups are usually enough, especially if you want to save room for another specialty of the house – pie. Other menu options include a mix of diner-type food (sandwiches and fried things) and seafood entrees. Though Guy Fieri from ‘Diners, Drive-ins, Dives’ says the cioppino is the best he’s ever had. From Duarte’s, mosey down the street into a store (Made in Pescadero) selling fine, hand-made wood furniture, to a gallery of arts and crafts (Luna Sea), across the street to a general store with restaurant/bar (Pescadero Country Store), and then another general store (Norm’s Market) with an excellent bakery and deli, where you can buy sandwiches and sit at picnic tables in the back. Or drive to Pescadero State Beach and have your picnic there. The gas station/market on the corner, Mercado & Taqueria De Amigos, is also supposed to have very good Mexican fare. Otherwise, that’s pretty much it. They have the Pescadero Art and Fun Fair the third weekend in August, and the Pescadero Coastal Classic Road Race travels through in June. If nothing else, Pescadero is a great excuse to get out of the city for the most spectacular drive in the Bay Area – Hwy 1. It’s a fitting destination to match, and I’m always happy I made the effort, especially after a bowl of green chile soup and a slice of olallieberry pie.